Aiko Kazuko Kurosaki was born in Tokyo (JP) and studied dance and music in Vienna and Chicago. She received scholarships for further education in Vienna, Salzburg and Chicago. She was responsible for concept, artistic direction and choreography of the series "Tanzwerkstatt Metropol" 1988/89 in Vienna, where she was also featured as a dancer. She was member of the Butoh Company Cie. Ariadone / Carlotta Ikeda and worked as the assistant of Carlotta Ikeda in Vienna (ImPulsTanz, Wiener Festwochen), Tokyo, Paris, Berlin, Bordeaux a.o. between 1991 and 1999. Her Solos: "Kokoron" (premiere 1993, Festival for Contemporary Art, Bolzano/IT); the show window / display project "No Comment" (2009, LABfactory, Vienna); "BLANK" for "Untergang Art" (a co-production with Tanzquartier Vienna and NOMAD.theatre); "Nettó" (2013, tanz ist Festival for Contemporary Dance in Dornbirn/AT) a.o. 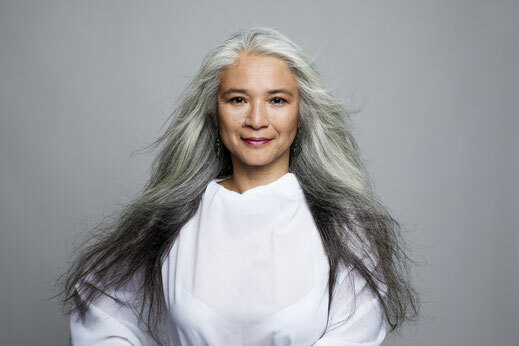 In addition she created several solo and group projects with Cie. Aiko for the Festival Transart Labin (HR), Haapsalu, Laanemetsa (EE), Imagetanz 1954 (Vienna), Q202 (Vienna), Soho in Ottakring (Vienna), tanz ist Festival for Contemporary Dance in Dornbirn/AT) a.o. Aiko Kazuko Kurosaki creates performances, living installations, performative interventions in public space and transdisciplinary projects with the focus on environment and social critical topics, such as a performance/flash mob at the UNO-City Vienna for the memorial day of Hiroshima and Nagasaki against the re-opening of the nuclear power plants in Japan after Fukushima and is a co-initiator and performer for "One Billion Rising Vienna" 2013 and 2014 a.o.